Olive Tree is located on Nissi Avenue close to the centre of Ayia Napa and serves Cypriot and international dishes. It is open in the summer months for lunch and dinner. Orange Grove is a large bar-restaurant open all year round for breakfast, lunch and dinner. It also has shows in the evenings in the summer and is family friendly. It is located on Nissi Avenue at Sandy bay. Othello restaurant is located on Nissi Avenue in the centre of Ayia Napa and serves Cypriot and international foods. It is open for dinner service most of the year round. Palazzo Bianco serves a variety of different cuisines and is open during the summer months for the dinner service. It is located just off the main square of Ayia Napa. 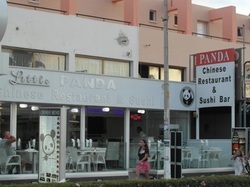 Panda restaurant is open all year round and serves Chinese and Japanese food including a wide choice of sushi. It is located close to the centre of Ayia Napa, on Nissi Avenue. Passaggio is located on Nissi Avenue, opposite the Evabelle Apartments. It is open during the summer months for breakfast, lunch and dinner and serves international dishes. 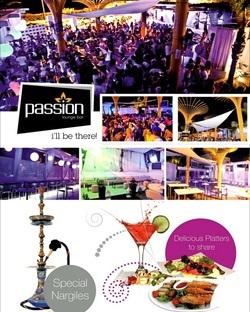 Passion Bar is located close to Ayia Napa harbour and is a trendy lounge bar with a menu of exotic and fusion dishes. The decor here is ultra modern and chic and there are regular special events. The bar is open in the evenings during the summer and is also home to Sushi-La, sushi bar. 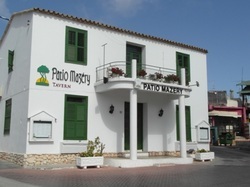 Patio Mazery re-opened in 2013 and is in a lovely old building and it's courtyard just off the main square of Ayia Napa. It is open for dinner during the summer months. Paula's is open all year round for lunch and dinner and offers a range of Cypriot and international dishes. It is located just off Nissi Avenue. 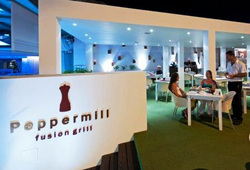 Peppermill is part of the Napa Plaza complex and serves exclusive steak and fusion cuisine throughout the summer in the evenings. It is located right in the heart of Ayia Napa, next to the main square. Petinos is a traditional restaurant located opposite the Ayia Napa museum and open in the summer months for the dinner service. It serves Cypriot and international dishes. Piccolo Diavolo is a fast food and take away venue located right in the centre of Ayia Napa. It is open in the day time and through the night in the summer months serving a variety of snack options. 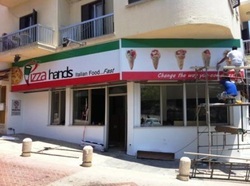 Pizza Hands is located just of the main square of Ayia Napa and is open in the summer months.